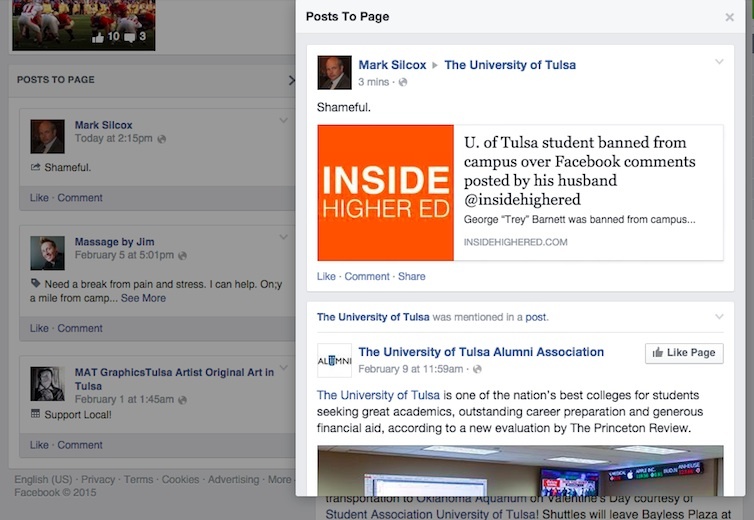 Administrators at the University of Tulsa (TU) have remained notably quiet since FIRE issued a press release last week covering the school’s vindictive treatment of student Trey Barnett, suspended for another person’s Facebook posts, and TU’s threats to the Collegian student newspaper for reporting on the story. 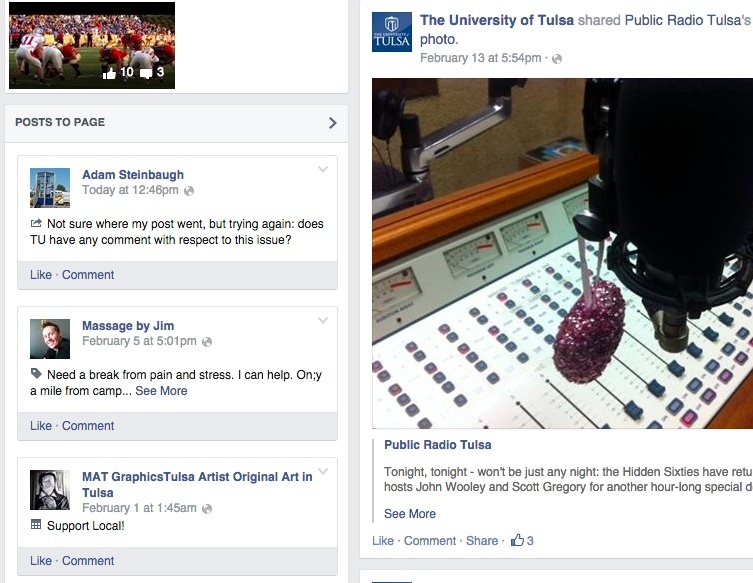 Now it looks like TU wants everyone else to shut up about it, too. 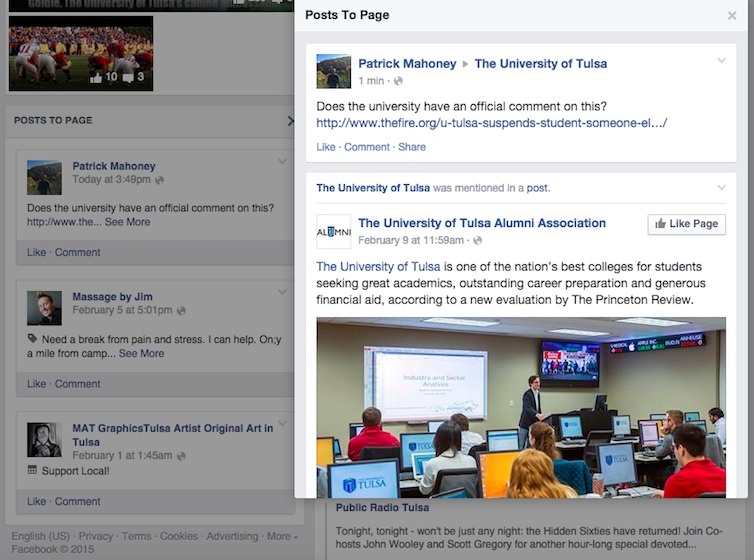 TU’s censors, apparently on a mission to eradicate any unflattering Facebook posts mentioning the university or its administration from the Internet, have begun to hide posts from TU’s own Facebook page. 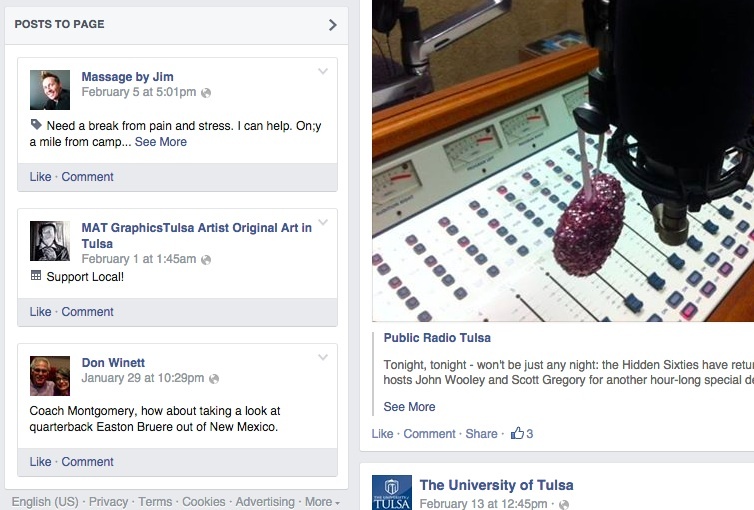 Although TU’s “About” page asserts the private university’s dedication to inspiring “free inquiry” and educating students to “think critically,” FIRE noticed yesterday that TU was censoring every post linking to FIRE’s press release or mentioning Barnett’s case. Noticing his post had disappeared, he pointed out that it had been hidden from the page and then asked for a comment from TU. Unsurprisingly, his post was hidden. Again. 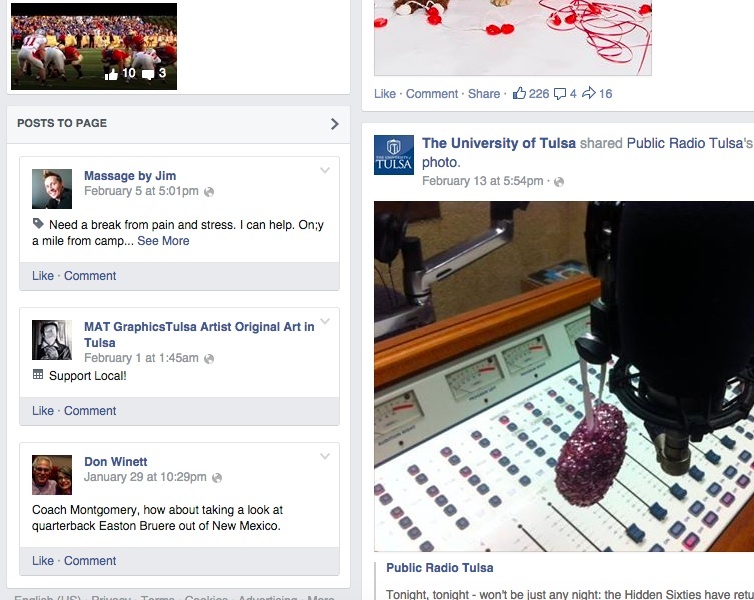 Other posts about TU’s treatment of Barnett and the Collegian appeared on the page, and they continued to disappear. 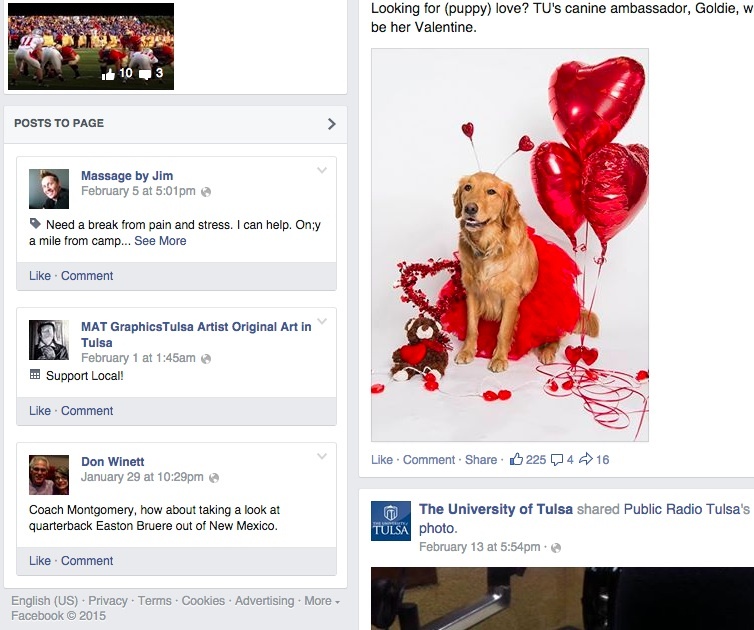 After a few commenters simply questioned TU’s actions, or asked for the university’s response to accusations that it mistreated Barnett or the student paper, TU apparently gave up and decided to hide all posts to the page, even those that didn’t mention Barnett or the Collegian. Unfortunately, we’ve seen this type of behavior before. 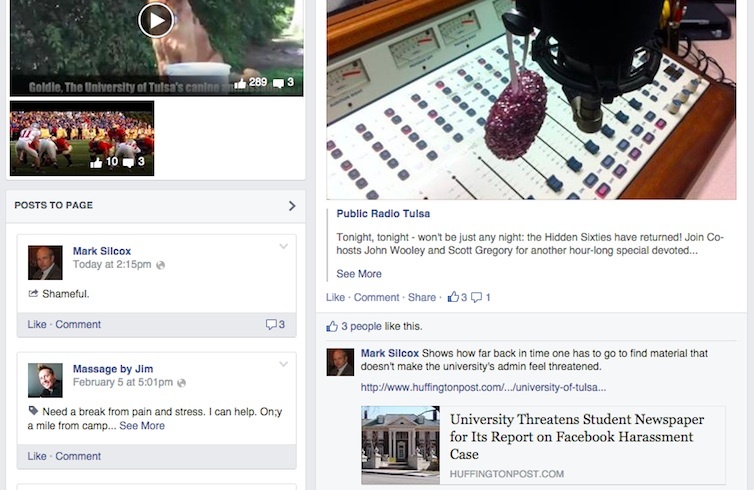 Last year, after FIRE publicized Asnuntuck Community College’s (ACC’s) unfair treatment of student Nicholas Saucier, who was simply exercising his First Amendment rights, the Connecticut institution was deluged with Facebook posts asking for the school to acknowledge Saucier’s rights and rescind its disciplinary action against him. Of course, ACC could’ve acknowledged its wrongdoing and the matter would’ve ended there. However, ACC administrators proved unable to handle any criticism whatsoever and deleted the posts one by one, eventually removing ACC’s Facebook page completely. 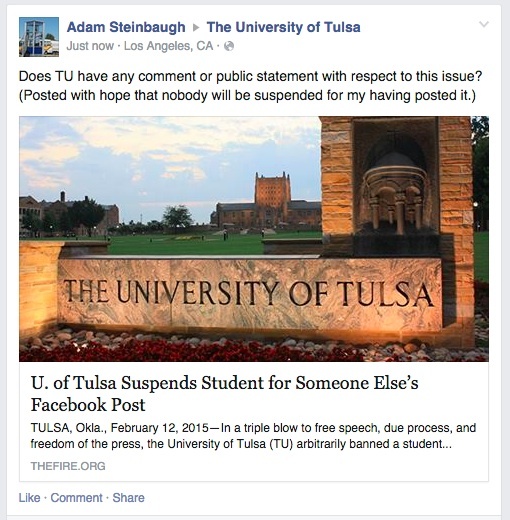 TU’s refusal to respond to simple questions posted to its Facebook page reflects its unwillingness to acknowledge its own wrongdoing in its treatment of Barnett. 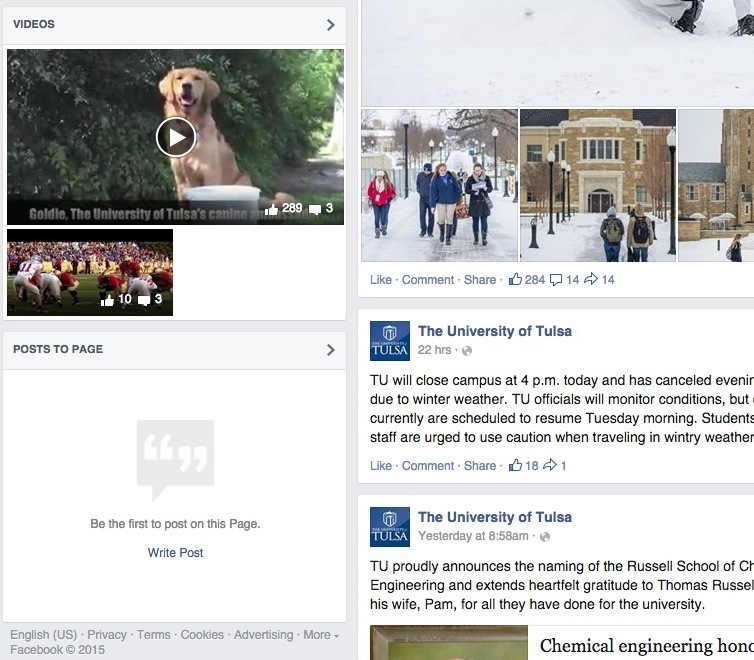 FIRE hopes TU is aware that it cannot make every criticism of the school’s actions disappear, even if it wishes to do so, and we hope that TU swiftly changes its course. 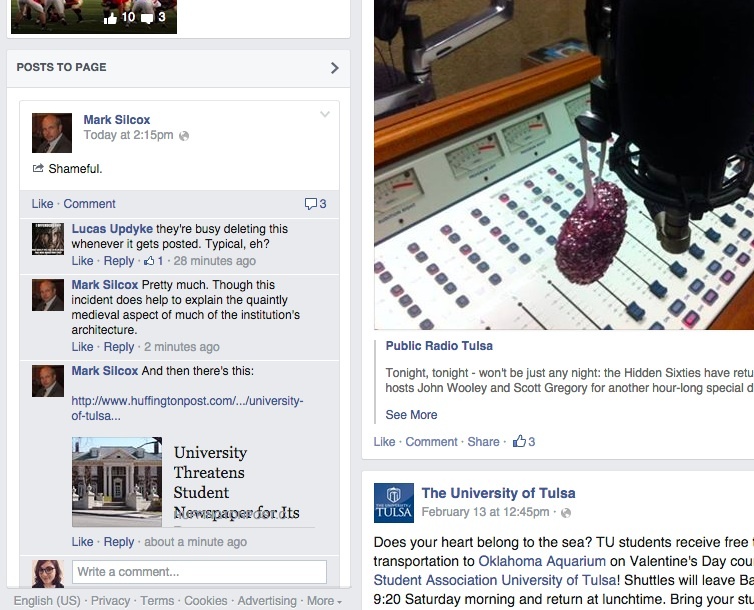 If you’d like to share your thoughts about TU’s appalling mistreatment of Trey Barnett or its attempts to chill the speech of student journalists at the Collegian, or its censorship of Facebook posts, please let them know via mail, fax, or (perhaps most effectively) carrier pigeon. Anything but a Facebook post.